Note: this is my review of the Superstar Blogging "How to Become a Successful Travel Writer" course. You can also check out my review of Superstar Blogging Business of Blogging, which is more of an intro course to travel blogging for beginners. In this detailed review of Nomadic Matt's Superstar "How to Become a Travel Writer" Course, I'll walk through my experience with the course and give you my candid opinion of whether it was really worth the money I paid. Summary: Is the Nomadic Matt Travel Writing Course Worth it? Conclusion: Is This Course Right for You? I'm a former corporate lawyer who left home in Denver Colorado to travel the world in 2016 (and visited 43 countries in the following year). I started my travel blog career almost two years ago by purchasing one of Nomadic Matt's courses, picking my travel blog name, and diving into a whole new career. After a ton of hard work, I'm proud to say that I now have a steady income stream from this blog and a reasonably large (if not huge) readership. Travel blogging income comes slowly, so in the interim while I was waiting I started to pick up some freelance travel writing projects. Some of those projects pay a fair bit of money (I once got paid $1,2000 for a single article! ), so I decided I needed to up my game by buying a more advanced travel writing course. Since I had gotten so much value from Nomadic Matt's Business of Blogging course, I figured I would try out his "How to Become a Travel Writer" course. Note that I personally bought the course with my own funds and didn't receive anything special for writing this Nomadic Matt Travel Writing Course review. Review Summary: Is the Nomadic Matt Travel Writing Course Worth it? Short answer: Yes, for new or mid-level travel writers, this is a great investment in your career. "How to Become a Travel Writer" is a solid course with lots of quality content and a intuitive course design. I would happily buy it again. The course does require a fair amount of work from its student in order for you to see real improvement, and to be honest I struggled finding the time to put in that work. But that's my own problem. if you're a highly motivated student who is serious about becoming a travel writer, then this is a great travel writing course for you! Plus it comes with a 30-day no questions ask money back guarantee, which makes it easy to try out the course! Ready to get started? Click here to book your spot in the course. Who Is The Travel Writing Course For? While this review of the Nomadic Matt Travel Writing course is generally positive, I would note that the course isn't necessarily for everyone. You have your own blog or other outlet and are looking to step up your travel writing skills. You're an advanced travel writer with a lot of experience in the industry. You are more interested in learning how to start your own travel blog versus getting paid gigs (in which case check out the Business of Blogging course instead). You don't have the time to put in the work and do the assignments. Check out more details over at the course overview page to see if you're a good fit for the course. 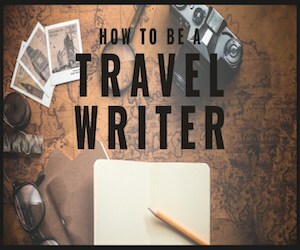 "How to Become a Travel Writer" is probably one of the most detailed courses in the travel space that I've seen, so let's quickly break down exactly what's inside. For a full listing of everything included in the course, click to read the course summary page. 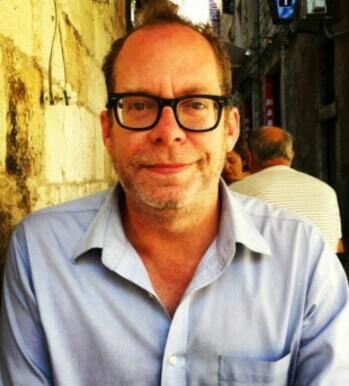 The primary instructor for this course is David Farley, an award-winning travel writer who has been published in such esteemed publications as The New York Times, AFAR magazine, and many others. He's also a teacher of writing at Columbia University, which gives you a sense of the quality of instruction he brings to the course. The course is run and marketed by Matt Kepnes (aka Nomadic Matt), who is by some metrics the most successful travel blogger in the world. 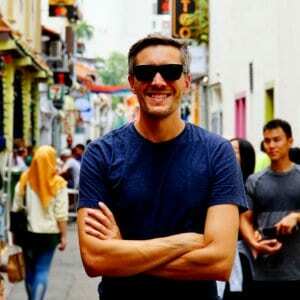 Matt is always really candid and helpful in his advice, and he checks in at various points in the course to lend his perspective on how to become a professional travel writer. 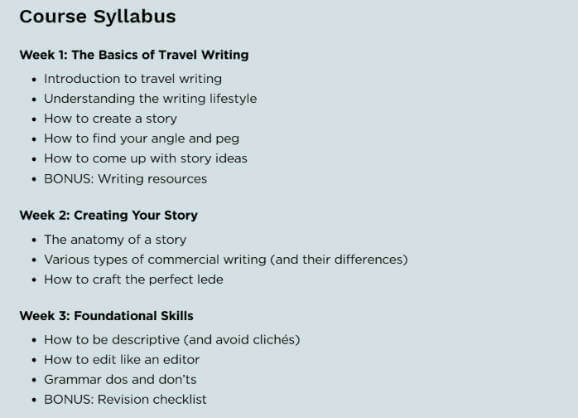 As you can see, the first three weeks of the course are focused on the mechanics of travel writing: how to come up with great story ideas, how to craft a great story, and how to actually put pen to paper in a way that brings those stories to life. Even as someone who has a lot of writing experience (I used to work as an attorney, and have years of writing and communication training at some of the top universities in the country), I found that David was able to provide a slew of practical tips and advice to help improve my writing. Week 4 of the course continues teaching you about how to write, but this time with a focus on an online audience. 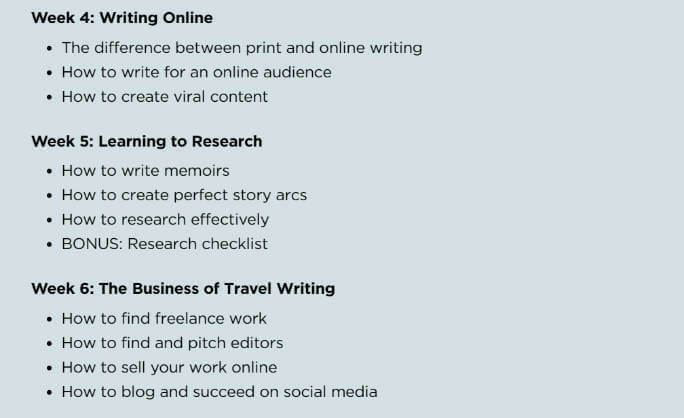 I think this is really important, because most of the freelance work you are likely to get as a new travel writer is going to be for online publications or blogs. And the style of writing that succeeds online is definitely a bit different than traditional print travel writing. Week 5 then dives into how to conduct research, a very underrated skill for a writer which, if you can master, will help you really set your work apart from the crowd. The final week is my favorite part of this travel writer course: it covers practical topics about how to take the skills you've just learned as a travel writer and put them into action by finding clients and platforms for publishing your work. Think you're a great travel writer but don't know how to get started selling your work? Then this week of the course alone is worth the price tag. Note that Nomadic Matt is constantly adding content to the course, so click here to check out the latest syllabus on the course website. "How to Become a Travel Writer" is presented as an online course with both videos and text articles used, which I think provides for a good mix of learning methods. David is a very engaging instructor, who provides practical tips on how to build a career in the industry interspersed with engaging personal stories and anecdotes that really help to hold your attention. I also really love at the written content is broken down quite clearly into actionable sections (for example: "how to find an agent," "how to write a book proposal," etc.). In fact, what I think is the best thing about this course is that it doesn't just teach you how to write - it teaches you how to navigate the quirky and sometimes confusing world of freelance travel writing. In order to become a successful travel writer, you need more than just a good story and good writing skills. 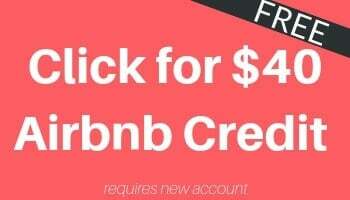 And although the course does help you learn those as well, what I really found most valuable was the content in the final couple weeks that teaches you how to market your work, how to find clients, and how to actually build a name for yourself as a writer in the competitive professional travel writing space. Those practical lessons are, to me, where the How to Become a Travel Writer course really shines. The "How to Become a Travel Writer" Superstar Blogging course comes with lots of bonuses and extras that really help justify the price tag. Bonus 1: 93 Places to Pitch Your Work - A list of publications that pay travel writers. Bonus 2: Personalized Feedback On Your Work - David and Matt will provide edits and comments on your work (really worth the price of the course alone). Bonus 3: Printable Cheat-sheets - These cover everything from grammar to revision checklists. Expert Interviews - Over 13 hours of interviews with some of the world's best travel writers, which gives you useful insights into the industry. Access to Private Facebook Group - A great way to connect with other writers as well as the instructors (plus myself!). Monthly Webinars - These are really valuable, as Matt is known for providing candid and practical info on a new subject each month. Though the "How to Become a Travel Writer" Superstar blogging course is a bit expensive, if you're serious about becoming a professional travel writer, the course will easily help you make back the price tag. Land just one solid freelance gig and the course pays for itself! 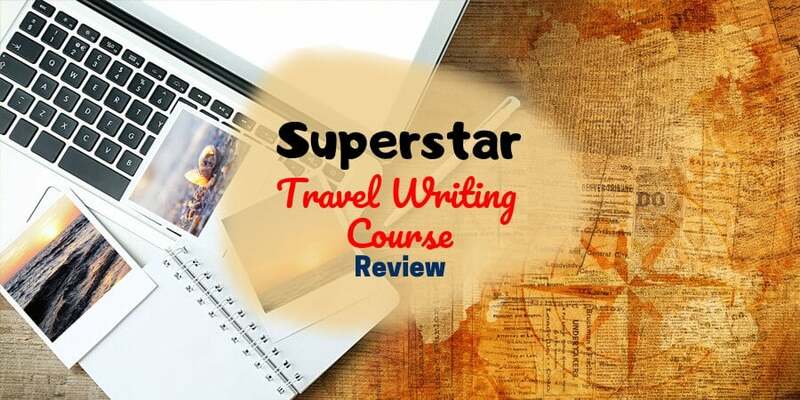 If you do decide to buy the course and found this Superstar Travel Writing Course review helpful, you can help support this site by using this affiliate link to purchase. Thanks in advance! The Business of Blogging - Best intro course on how to be a professional travel blogger (read my review here). How to Become a Vlogger - Video is the wave of the future in travel media. Get ahead of the trends. How to Become a Travel Photographer - A very important skill for every blogger or serious photographer. Travel Blogging for Beginners - A few tips for those just starting out. How to Start a Travel Blog - My step-by-step guide to setting up your own blog. How to Pick a Travel Blog Name - A huge guide to handling this important decision. And, as always, if you have any questions - or your own Nomadic Matt Travel Writing Course review - just drop me a line in the comments below!